A stormy weekend, a cozy family backyard, and loved ones gathered near to celebrate. 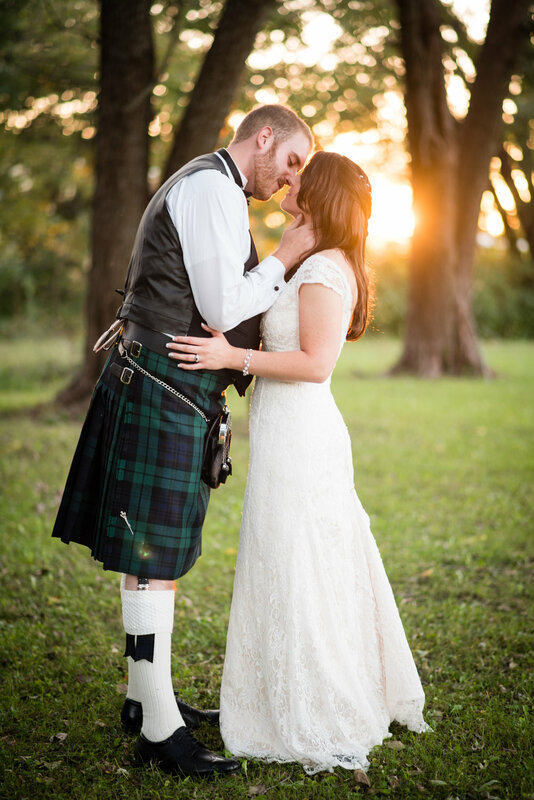 Such sets the scene for a Scottish Highlands Wedding in the Great Midwest Plains. Mike and Nicki have been a couple long enough to have a seasoned-love that shows in their great comfort together and evident understanding of each other. They opted to wait for their ceremony to see each other, and their anticipation grew as the time drew near. 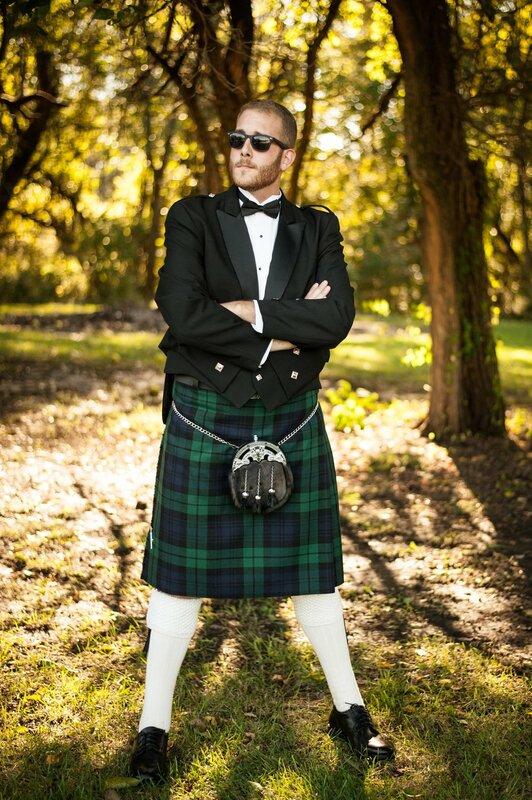 Mike wore a traditional Scottish groom's attire with his family tartan featured in his kilt. Nicki looked beautiful in a classic sweetheart-neckline gown covered in lace and elbow length veil with a clean edge. They were married under an arbor that Mike spent months building by hand for their wedding day. 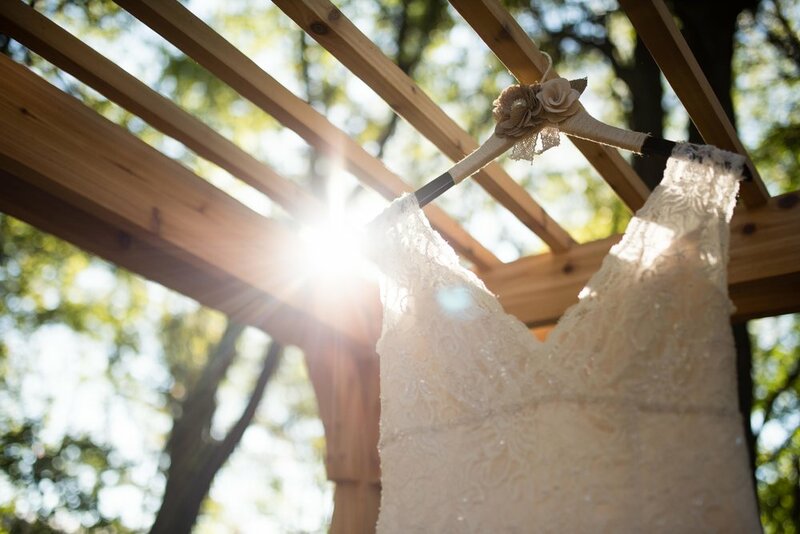 Though weddings are planned out down to the minute, and all the preparations are double and triple checked, each day inevitably takes on unique moments of creativity and spontaneous memories. For Mike and Nicki, one of those moments came when it was time in the ceremony for the "handfast ceremony" - a traditional Scottish welcoming of the bride or groom to their clan. 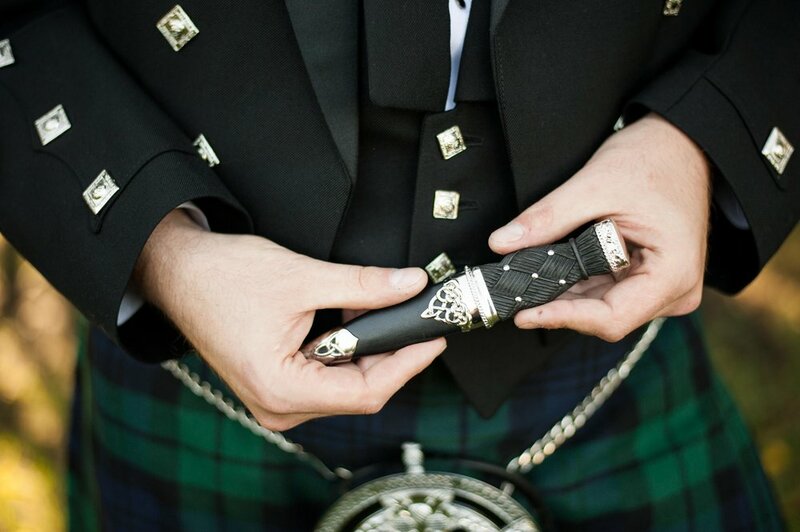 The family tartan is tied around the bride and groom's forearms to bind them together - also symbolizing the binding covenant of marriage. But in the absence of the piece of family tartan material, the officiant lovingly proffered up his own (clean?) handkerchief to secure their love. Laughter is actually a great part of marriage. Throughout the day, one of my favorite things to watch was the bride and groom's sincere love and respect for their older relatives and guests. Their marriage is preceded with strong examples of commitment and a heritage of family love. That family love shone through in the venue, handmade signs, and homemade love woven throughout the entire day. May your marriage be sweet and long. Congratulations!